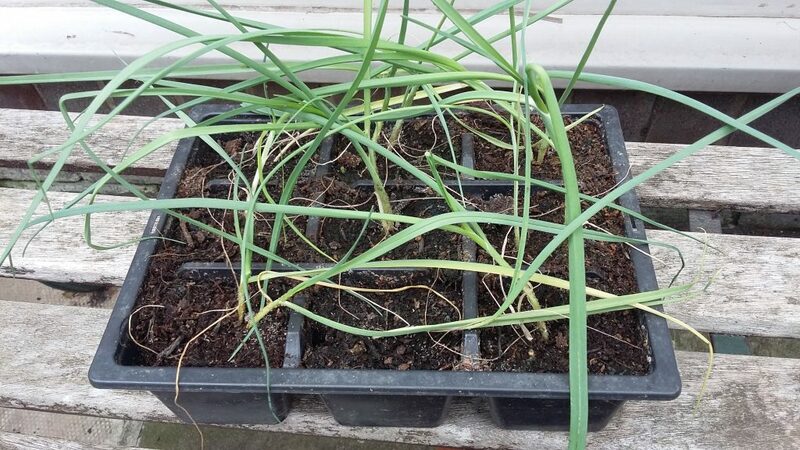 On the way home this morning I bought myself a tray of leek seedlings to plant up for an experiment. The purpose of the experiment is to let them die. Of course a leek usually dies after it flowers so I’m hoping that next year after they’ve overwintered they’ll go to seed. I’m not looking to collect seed from them, I’m not even growing them to shave (although I may shave some). No the reason I’m growing them is that when they flower they should also produce 2-5 bulblets at the base of the stem. These will then grow up to be little leeks and then next year flower, produce bulblets and die. And so on. This should form a patch of leeks which can be harvested to eat or to plant out at standard spacing to grow larger for minimal effort each year. Next Next post: More Alliums!! !